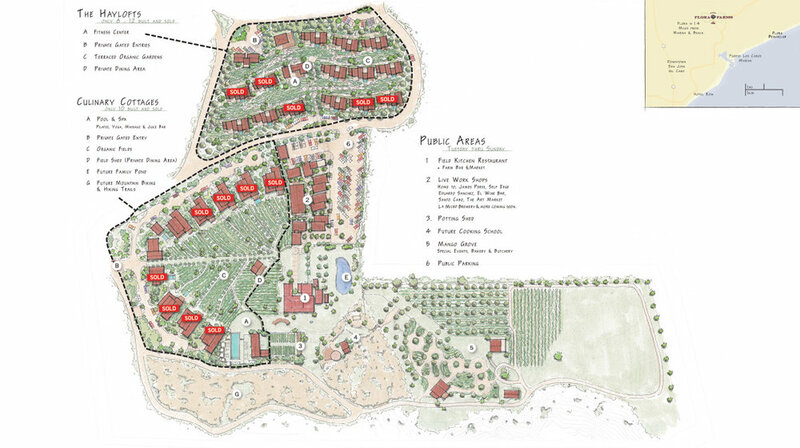 Flora Farms is an abundant destination featuring both public and private experiences based around the concept of farm living and culinary exploration. 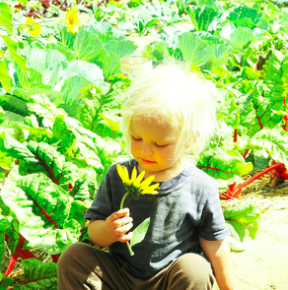 Established in 1996, Flora Farms is a tranquil, bountiful, fully functioning, hand tended organic farm in the foothills of the Sierra de la Laguna Mountains in San Jose del Cabo, Baja California Sur, Mexico. This sanctuary is just a mile from the Sea of Cortez and the Puerto Los Cabos marina. The Culinary Cottages are only 10 handcrafted luxury outbuildings nestled within a private section of Flora Farm. The Hillside Haylofts is Flora Farms' second low density community, which also currently features 10 private homes with a concept similar to the Culinary Cottages. Flora's Field Kitchen, rated one of the "World's Best Farmstead Restaurant Experiences", is all about handmade food using Flora's fresh and organically grown and raised ingredients. Flora's Farm Bar is a beautifully designed field side gathering place for relaxation and celebration. 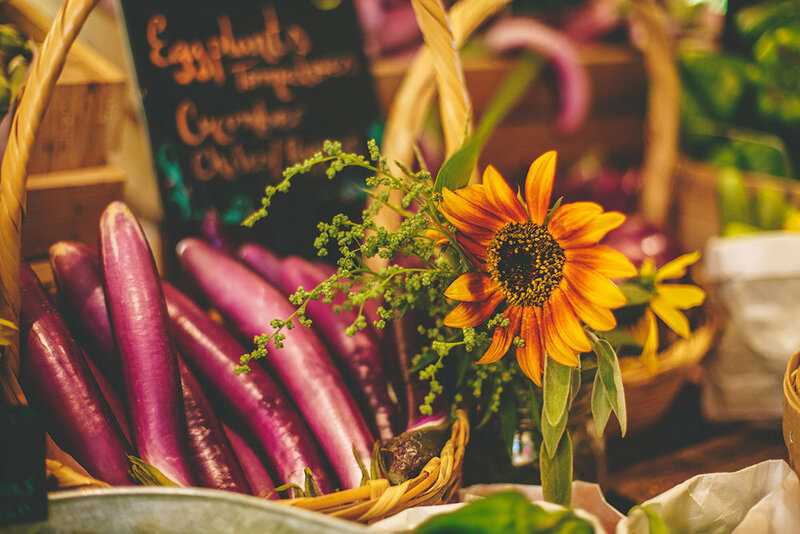 Flora Farm Grocery is stocked with Flora's fresh and organically grown and raised produce, meats, eggs, breads, sweets, pickled goods, sauces, dressings and preserves. Flora's Farm Spa was originally created to offer a unique spa experience to the real estate owners of Flora Farms. Embracing the soothing atmosphere of a flourishing organic farm, the Farm Spa is nestled amongst papaya and banana trees, and the herbs and flowers of the spa garden. The Live Work Shops at Flora Farms showcase a handful of thoughtfully curated shops, including Anne Sidora, The Artisan Market, Eclectic Array, Eduardo Sanchez, Farm Spa, James Perse, La Micro Brewery, Santo Cabo, Self Edge and El Wine Bar y Café.